Migraine Monologues: "Money, Money, Money" - How much have you spent on your migraine treatment? 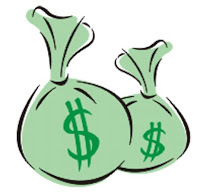 "Money, Money, Money" - How much have you spent on your migraine treatment? 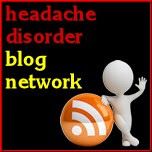 Oh if only mastercard could sponsor my migraines, or rather sort out my migraine financial mess. In the UK we are very lucky to have the NHS but oh my, even with treatment on the NHS (and don't forget you have to pay about £8 for each prescription so that quickly adds up) most migraine patients will spend Thousands, and I mean Thousands of pounds, on their migraines. What we will spend money on I hear your cry? Well, before you get yourself a proper migraine specialist and treatment plan in place you will be buying bucket loads of over the counter pain killers, EVERY possible migraine related gadget or gismo that BOOTS has to offer - heat strips, cool strips, pepermint rubs, hot water bottles, neck pillows, vitamins and supplements that might help. You will pay almost anything to the person who says to you "I can help!". These (well meaning) people include: Physios, Chiropractors, Osteopaths, Dieticians, Reflexologists, Hypnotherapists, Acupuncturists and every other kind of 'ist' you can think of! Some will find comfort and pain relief with these treatments; my physio is the single biggest help to me but I went through nearly every other physio, spine specialists, inner ear specialists, massage therapists in London before I found her. And I had to pay (or to be honest, as I was young) my parents probably had to pay their hefty bills. And to be honest, I haven't even got the guts to add up how much my migraine condition has cost me and my family over the last 14 years. Migraine has meant I haven't been able to hold down a job for quite a while, so had to move in with my parents. I wonder how much I've cost them in food and board, in addition to medical bills? How much money have I lost because, unlike my University friends, I haven't been able to start amassing savings and hold down a steady 9-5 type job? But, luckily, I have some brave pals who estimated how much this condition has cost. Amanda: 40, chronic migraines, diagnosed at 21. I have spent over £20,000 on migraines, but as I have been on a mission over the last three years to solve it, I have spent over £10,000 in just three years and alarmingly I'm no better. If I wasn't a migraineur I would have enjoyed lots of fabulous holidays or have some pretty decent savings by now. Fiona, 32, chronic and episodic migraines for 9 years. In 2011 alone I spent about $10,000 (over 6000 pounds) on chiro, massage, acupuncture, dentistry, medication, naturopath when I lived in Canada. Since being back on the UK, I've probably spent at least another 1000 pounds on trips to the National Migraine Centre, hypnotherapy, meds, massage, Greater Occiptial Nerve Blocks etc. That is probably a low estimate not taking into account all the money I spend on 4head, ice packs, ear plugs, and all the other migraine comforts. Daisy, 33, chronic migraine without aura. On her blog, My Migraine Memoirs, Daisy writes about the fact that migraines prevented her from taking a step up in the career ladder, meaning her salary was cut by almost half. So, what should you spend your money on? It is worth trying every possible option, if you have to pay for genuine medical treatments like Botox and Greater Occipital Nerve Blocks privately, do - but if I had my time again, I'd go straight to the National Migraine Centre and give them £1000 for my first appointment. I really would, considering I'd probably wasted about £10,000 or more, in the 5 years before I found the centre. In the UK we are not used to having to pay for our healthcare. In France you pay 25 Euros for every GP appointment, in the USA everyone has to buy insurance which dramatically effects the cost of health care. We are lucky in very many ways over here but just think, we'd happily spend £25 for theatre tickets, £20 for a night at the cinema, £60 for that new dress. So, instead spend that money on an appointment at the National Migraine Centre where you pay by donation. You'll learn about what migraine comforts actually, well, give you comfort and they'll advise you on other possible treatment avenues. 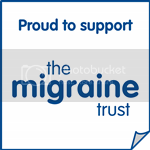 And then give another £25 or more to The Migraine Trust who are leading the way in ground-breaking research and offer support to so many. If living with migraine is going to cost us so much money, let's spend the little we have wisely. In the long run it will add up to far less than wasting money on gadgets and charlatans who offer you 'a cure'. Considering how much migraine costs individuals isn't it shocking that more money isn't being put towards research? What can we do about this? Over the years, I (& my parents) have spent a small fortune on my migraine battle. Several stays at a headache clinic in the US, nerve blocks, PRF, facet blocks, botox, cranial sacral, massage, physio, acupuncture, chiropractic, reflexology, etc. I live in Canada, & have excellent pharmacare, however, on occasion I've been on meds not available In Canada, & spent about $1000 a month on meds. Then there's lost work. I've had to take several leaves of absence to try to get it under control. At present, I've been off work since March '09. My savings are rapidly depleting, & the insurance co I'd been dealing with for long-term disability decided a couple of years ago that I'm fine to work. Thank God that Canada Pension Plan Disability benefits were approved for me early on. (I consider that my own personal miracle.) It's not enough to live on, but close. Whatever the cost, I hope someday to get a reprieve. As long as my doctors have any ideas, I'll do what I can to try.